Larry writes, "The raccoon in the pan is playing in the water. 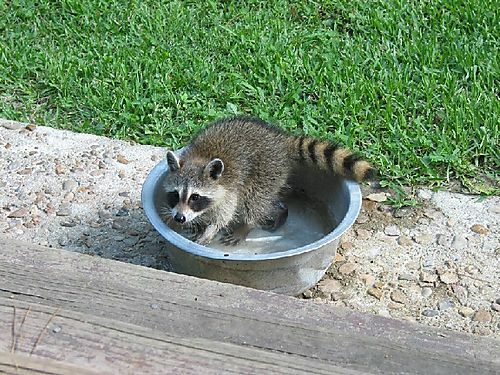 We put out a pan of water for the raccoons most nights. They wash their food in it, and especially the youngsters get all four feet in it. They love the water."